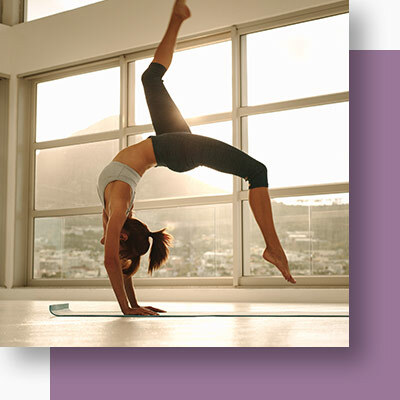 Take your yoga practice to the next level with Bikram Yoga. Whether you’re new to yoga or you’ve been practicing for years, when you take your first Bikram class, you’ll find that it’s challenging but well worth the effort. Bikram is a form of Hatha yoga. Traditionally, a Bikram class is 90 minutes and consists of the same series of 26 poses and two breathing exercises, and it’s traditionally performed in a room that is heated to between 95 and 108 degrees Fahrenheit. Why every yogi should try Bikram Yoga. Practicing yoga on a regular basis — particularly Bikram Yoga — is beneficial in so many ways, but one of the biggest benefits is simply how it makes you feel at the end of the day. Sign up for Washington DC’s premier Bikram Yoga class today! Whatever your reason for wanting to try Bikram Yoga may be, don’t just settle for any yoga studio. At Haute Bodhi Hot Yoga, we have some of the best and most compassionate yoga trainers in all of Washington DC, and we’re dedicated to helping you get the most out of your yoga practice. We offer varied class times, and we’re conveniently located in the heart of Tenleytown. To learn more about 90- Minute Bikram Yoga and the other yoga and Pilates classes we offer, check out our site or give us a call.